The green smoothie is hands down the best supplement to any diet. With at least one green smoothie a day, your body will not only receive an extra boost of nutrients, but will eventually crave these healthier foods naturally. Slowly but surely, unhealthy foods will be replaced by healthier counterparts, and your overall diet and well-being will benefit from the change. How long do green smoothies keep? Should I be concerned about oxalic acid in spinach? I’m a vegetarian/vegan, what protein options do I have? And much more! While the recipes are fantastic on their own, they can easily be used as templates with the useful preparation tips within. Learn about adding healthy fats such as virgin olive oil, avocado, and coconut oil, and get advice on eliminating separation and foam. 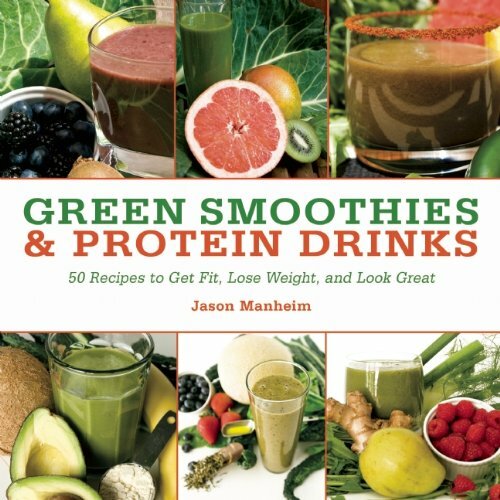 Everything you need to energize, look good, and feel great with green smoothies is packed within.